They liked each other when they first met in middle school or university and have been close ever since. The following couples have been together for years and have made it through all of their ups and downs, proving to the whole world that true love can last forever. Today, we at WeGoRo have compiled a list of 10 amazing celebrity couples whose love stories will leave you inspired. Kate and William met in 2002 at St. Andrews University in Scotland and dated on and off for nearly a decade. The couple got married only in 2011, leaving all their disagreements and rumors far behind. Now they have two children together and please their fans with good news. Samuel is a world-renowned actor, famous for his role in Pulp Fiction. LaTanya is also an actress who starred in dozens of films and has a successful theater career. Jackson met his future wife in Atlanta in the ’60s when they were students at neighboring universities. They started dating in 1974 and married six years later. This celebrity couple has been in love for 42 years already. During their married life they raised their daughter, Zoe, and built one of the strongest celebrity families. Facebook’s founder and CEO Mark Zuckerberg and Priscilla Chan, a qualified pediatrician, have been together for 14 years now. The couple met in 2002 when they were students at Harvard University. Having married in 2012, they are now the happy parents of a beautiful daughter. The star of the Avengers movies, Anthony Mackie, tied the knot to Sheletta Chapital, his school girlfriend, in 2015. The young people have known each other since they were just seven years old. In 2009, Sheletta gave birth to their son. It may be hard to believe, but famed rowdy rapper Snoop Dogg still remains faithful to his first love, Shante Taylor. They were sweethearts from the time they were children and ever since then their 26-year relationship seems to have been getting stronger. 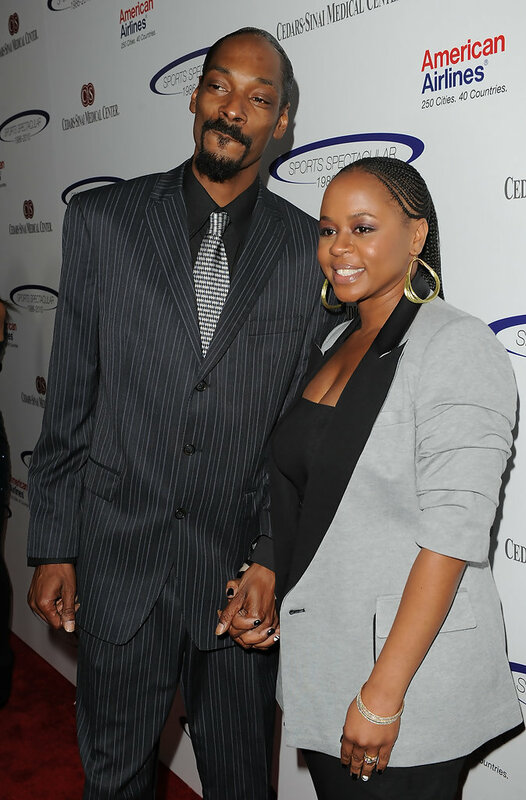 Snoop Dogg married Shante in 1997, and they have a daughter and two sons. Yet another rock star who wed his high school sweetheart is U2 frontman Bono. He and his to-be-wife began dating back in 1975 when they went to school together in Dublin (he was 15 and she was 14). The couple wed in 1982 and have been together ever since. Now they are parents of four beautiful kids. ’I met the most extraordinary woman in the world, and I couldn’t let her go,’ says Bono about his beloved wife. Famous basketball player LeBron James got hitched to his high school sweetheart, Savannah Brinson, while the two were attending a Catholic school, and he’s remained faithful to his first love ever since. James proposed to Savannah in 2011, and two years later they tied the knot. Famous director Ron Howard (creator of the movies Changeling, The Da Vinci Code, and A Beautiful Mind) and his wife, Cheryl Alley, have a love story that began during their high school years. They spent so much time together that their parents became concerned that the two would forget about their studies and forbade the young sweethearts from seeing each other more than twice a week. The couple has been married for 41 years already. Jeff Daniels, the star of ’90s cult films Dumb and Dumber and Speed, met his future wife while they were in high school in the small town of Chelsea, Michigan. Jeff and Kathleen got married when they were both 24 years old. The couple has been together for 37 years, and now they have a family of three children.